For the past two years I have been studying a BA in Management and Marketing accompanied with learning Mandarin Chinese at the University of Exeter. I had no previous knowledge of the language before so I really struggled in my first term to grasp the concept of tones and pronunciation. I decided that it was important that I go to China and surround myself with the language so that I could improve. INTO University Partnerships offered a programme that allowed me to study in China and also experience Chinese culture. At Exeter I have a Chinese teacher that speaks English fluently but the classes in China had limited teaching in English allowing my language to improve dramatically. It was amazing to fully immerse myself into China’s university life while living on campus and meeting Chinese students that studied English so that we could help each other develop our language skills. Before I went to China I only had pictures in mind of what I had been told or read about in books, having the opportunity to gain my own perceptions of China has allowed me upon returning to Exeter, to interact with many Chinese students on campus. I am now in my second year of study and I feel sorry for some of the students around me studying Chinese that have not yet visited China to have their own experience in practising the language. Studying in China has allowed me to make Chinese friends on campus who enjoy helping me improve my language; we have also bonded through the ability to talk about my own experiences in China. When applying for jobs or internships it is really difficult to stand out amongst other students with the same level of achievement, this makes it very competitive and so important to find something that makes you unique. After studying in China, my main topic of conversation when entering an interview is them wanting to know all about my experience of studying in China. I believe that if I hadn’t of made the decision to study with INTO China, then I could still be lost in the crowd. Currently I am still working towards becoming fluent in Mandarin Chinese, but I have mastered the basics and my experience of studying the language in China has greatly enhanced this. My future plans include completing my degree next year with ‘proficiency in Mandarin Chinese’ being added to the title. Upon my first visit to China I was really worried about the how different the environment would be from a Western culture. Now after firsthand experience of living in China and its differences in culture I really hope to return and witness the improvement in my language capability. Lastly I hope to achieve a high position in the marketing industry and my ability to speak Mandarin Chinese and experiences with INTO China will assist in achieving this. 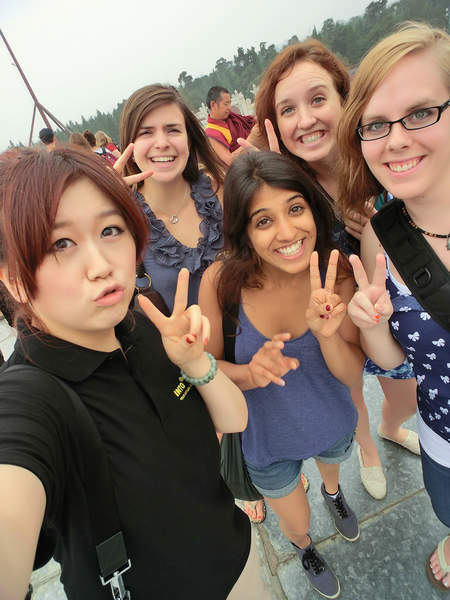 Really interesting article, great to see UK students taking advantage of studying in China!